Today is a special day – Monday – so I’ve decided to share not one, but two delicious recipes with you today! 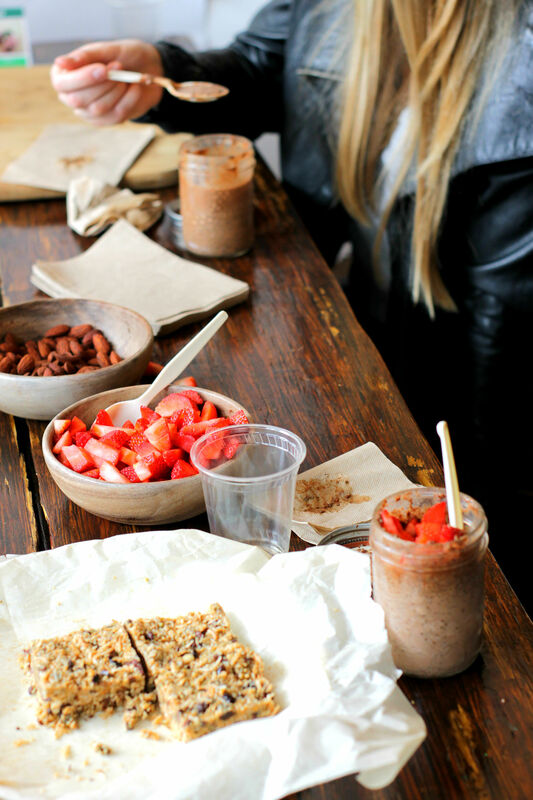 We made these Chocolate Chia Pudding Cups at our workshop this weekend. They have been a staple for me since I started on my healthy eating journey, so of course I had to share them with you all! affordable to make. I buy my chia seeds in bulk, use homemade or good quality store-bought nut milk, bulk organic cinnamon and raw cacao from here. totally healthy. Raw cacao is not processed, in the truest form of chocolate there is! This recipe is packed with magnesium, protein, iron and omegas, it’s the best snack or breakfast and makes for a post-workout snack due to it’s healthy anti-inflammatory benefits. easy to make. It literally takes 1 minutes to make this. Pop it in the fridge and you are good to go. I mean, come on! It doesn’t get easier than that. Mix in any fruit of your choice. I love fresh berries or banana slices. Add all ingredients to a small mason jar, put the lid on a shake really well. 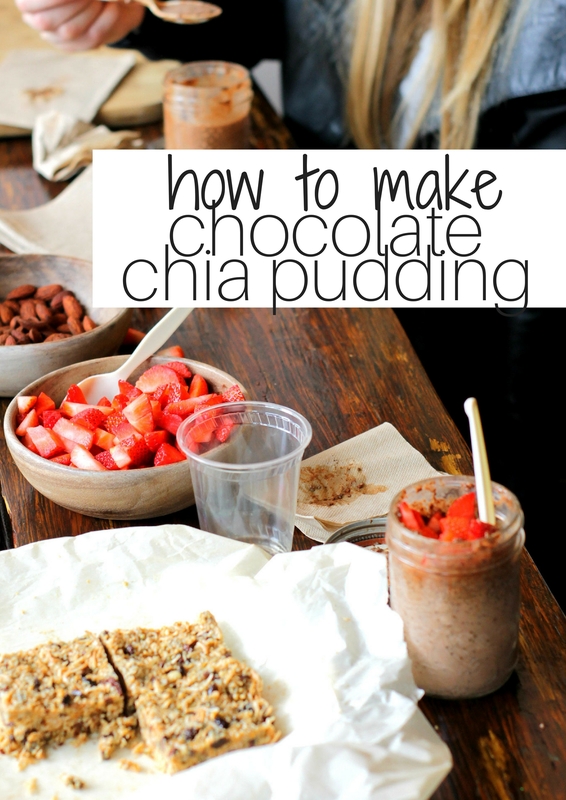 You can scrape the bottom to make sure all the chia gets mixed with the milk. Pop it in the fridge for 30 mins or overnight until it is a pudding consistency. Enjoy within 3 days. Make a batch to snack on for the week!